Check out our new videos and articles coming out once a week! 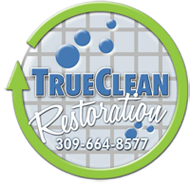 Subscribe today to see more about True Clean Restoration! New Website! Enhanced for mobile use! "The skill, punctuality, and professionalism exhibited by all True Clean restoration employees was outstanding. True Clean by far exceeded our expectations and proved to be very experienced in water restoration." Click here to see all our blogs with news, tips, and discounts!